Dealing with a broken air conditioning system can be one of the most annoying things you encounter as a homeowner—particularly if it occurs throughout the warm, summer months. Not only do you have to face the fact that you may be uncomfortable in your home for an unknown and potentially prolonged amount of time, but you need to find time and the money to get it repaired. 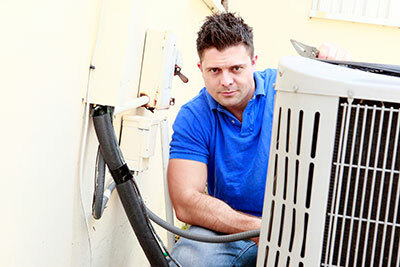 At Boerne Air Conditioning Experts, we understand that choosing an AC repair company can be a difficult decision. A lot of research may be needed, and doing your research may mean the difference between getting a solid, professionally installed air conditioner and just plain getting ripped off. Ask yourself, are all mechanics the same? How about all doctors? HVAC service companies, in particular, have a bad reputation, and in our experience this is, unfortunately, well deserved. Luckily, there are many of us out there that still do things the right way. When it comes to making the final decision on a reliable AC repair company, it never hurts to ask around for local references. Ask your friends, neighbors, and family members if they’ve had good experiences with a particular company. Don’t forget to check out online reviews, particularly Google reviews. Google doesn’t filter their reviews, which makes it very difficult for people to write fake reviews—making it a fairly reliable source. You can also have a look at places at Yelp or Angie’s List. As you begin to narrow down you options, you should get estimates from multiple different companies. The estimate should be written out, and it should include a list of everything that will be done, as well as a price. Not only does this safeguard you as the consumer, but it also ensures that the AC repair company will do everything they’ve promised. As you compare estimates from different companies, be wary of just going with the lowest bidder. There’s nothing worse than having a brand new air conditioning installed, or your current unit repaired, only for it to stop working again a few weeks later. While they may have offered their services for the lowest cost initially, it could end up costing you twice as much in the long run. As your in the final stages of bid comparison, go with your gut. Who is going to do the best job? Who do you trust? One last thing to consider when deciding on a reliable AC repair company is whether or not the company is licensed, bonded, and insured. 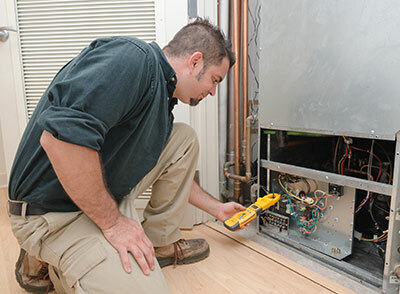 A licensed HVAC company means that they are permitted to complete work in your city, and typically they’re also licensed to manipulate gas lines as well as electrical and plumbing applications. Bonded means that they are financially backed by a bonding company in the event of a claim being filed, and if they are insured, it can prevent you from being held liable should a worker become injured on the job. There is a lot that goes into choosing the right AC repair company, and these are just a few of many things to keep in mind. Next time you’re in need of AC repair and searching for a reliable, trustworthy air conditioner service company in Boerne, TX or the surrounding areas, give us a call.